This is the history of the first 50 years of Rannerdale on its site in Hansons Lane, Upper Riccarton. The work traces the half-century of care of ex-servicemen and women through eight themes that best represent the values and unique nature of Rannerdale. 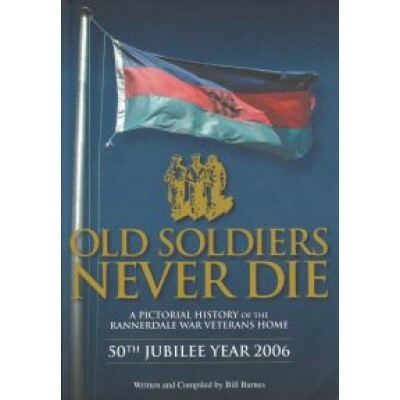 It includes some pre-history of the war veterans' homes in Christchurch, and extends to descriptions of the Hansons Lane site, the residents and staff over the years, the supporters, visitors, special events and some of the lighter moments in the lives of those at Rannerdale. *The origins of the name 'Rannerdale'; its military connections and its links with one of the early settler families of Christchurch. *The glory of the old homestead 'Stevenholme' in Hansons Lane and the legend of Nurse Maude's residence there. *The development of the prize-winning rose and native plant gardens and the annual giant tomato growing contest. *The representation of New Zealand's own military traditions and history etched in the faces of Rannerdale's residents presented in the portrait gallery. *The stories of the characters and hard cases of the Rannerdale community that include tales of Ozzie Anderson - The Voice of Armagh St, and Canterbury sportsmen Bert Blazey, Alf Bourne, Bert Hirst and George Crimp. *The impressive records of service completed by faithful, diligent and caring staff members from Doctor William Platts to Housekeeper Noelene Wright. *The special events that mark Rannerdale's year; ANZAC Days, Remembrance Days, holiday excursions, and the celebration of 100 year birthdays. *The strange and bizarre happenings at Rannerdale; from romance, wild parties and banned music, to escapees, the demon rum and recipes for cooking underwear. The history is presented in memory of those former service personnel who have been residents of Rannerdale, and of their comrades in arms, in whose debt the New Zealand nation will forever remain.